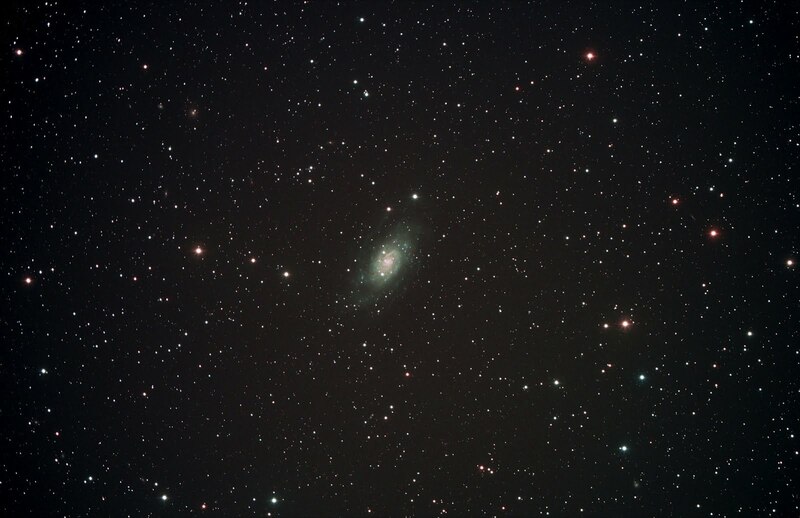 NGC 2403 is a spiral galaxy in the constellation Camelopardalis. 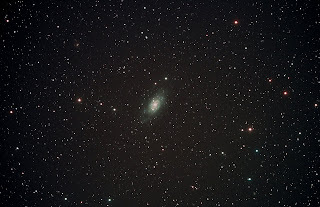 NGC 2403 is approximately 8 million light years away. Image was taken near Fort Davis, TX and is a 5-min exposure. Total exposure time was two hours. 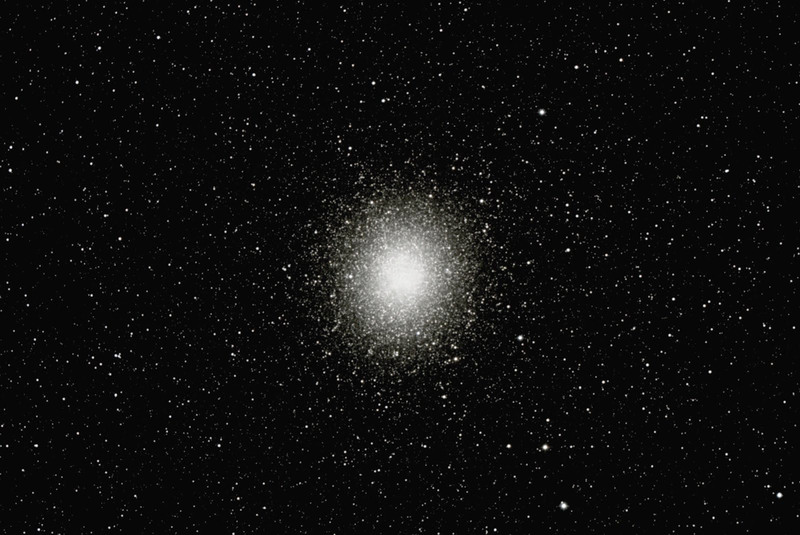 Omega Centauri is the largest globular cluster in our Galaxy. Located in the constellation Centaurus, lies about 15,000 light years from the Earth. It can be seen without any visual aid in the southern skies. Even at 30 degrees latitude, it still lays low in the southern skies. For our southern hemisphere folks, it is high in the southern sky. It contains several million stars, and the ones in its center are really close to each other. Image was taken near Fort Davis, TX with an 11" Celestron Edge HD and CGE Pro mount. Autoguided with an Orion autoguider and Orion 80mm refractor using a QHY8 CCD. Image is a 1-min exposure.